Fitting Fitting generally represents the Base Curve and Diameter of the lens in mm. Typical values range from 8.00 to 10.00 for Base curve and 13.00 to 14.5 for Diameter Power Often called 'sphere' or 'strength. Measured in diopters and always preceded by - (minus) or + (plus). Negative (-) powers are prescribed to help correct short sighted conditions. Positive (+) powers help to correct a long sighted condition Cylinder A Cylinder value on your prescription is normally used when you have Astigmastism, a condition where the eye is not spherical thus light reflacts into the eye in a different way. 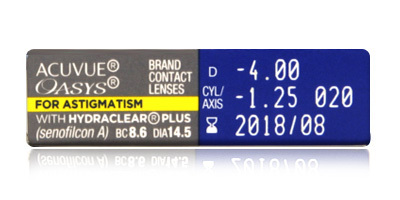 Cylinder can be preceded by either - (minus) to correct short-sighted astigmatism or + (plus) to correct long-sighted astigmatism Axis Prescriptions with a "Cylinder" figure will also have an "Axis" measurement. Axis indicates in degrees exactly where on the eye the astigmatism is located. It is usually a figure between 0 and 180° and reflects the orientation needed in the Cylinder of the lens to correct your astigmatism. Manufactured by Johnson & Johnson, Acuvue Oasys for Astigmatism two weekly disposable contact lenses are made for wearers with Astigmatism. Johnson & Johnson’s special Hydraclear Plus technology makes Acuvue Oasys for Astigmatism contact lenses one of the most comfortable of their kind available today. 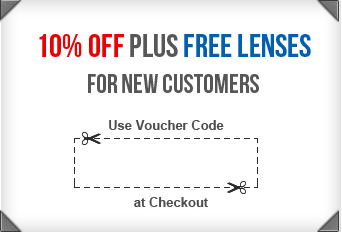 The lenses have an exceptionally smooth surface giving a more natural kind of contact lens wearing experience. Each box contains six contact lenses. Choose between a range of powers, from -9.00D to +6.00D. 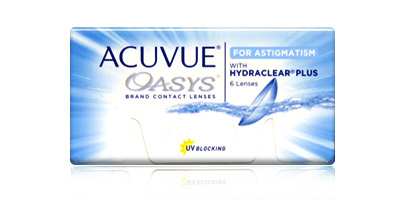 Acuvue Oasys for Astigmatism lenses have been custom engineered to tackle the numerous demands of modern life. This is a hard-working lens designed to cope with challenges such as night driving, air conditioning, pollen and pollution. 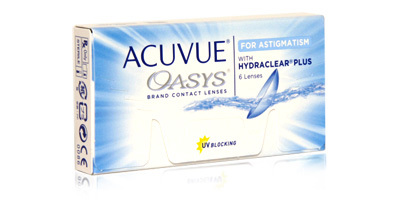 Johnson & Johnson, Acuvue Oasys for Astigmatism lenses can be worn daily on a bi-weekly replacement schedule or on an extended wear basis for up to six nights. Always ask your optician for advice before embarking on an extended wear programme. If you have any questions or need advice, talk to a member of our dedicated team by calling 0330 088 3133. 98% of our orders get shipped the same day and can be sent out by express delivery.